Garlic has long been called a superfood because of it's many health benefits. The herb is high in Vitamin A, C and D. It helps to boost the immune system, and for thousands of years has been believed to have medicinal qualities. 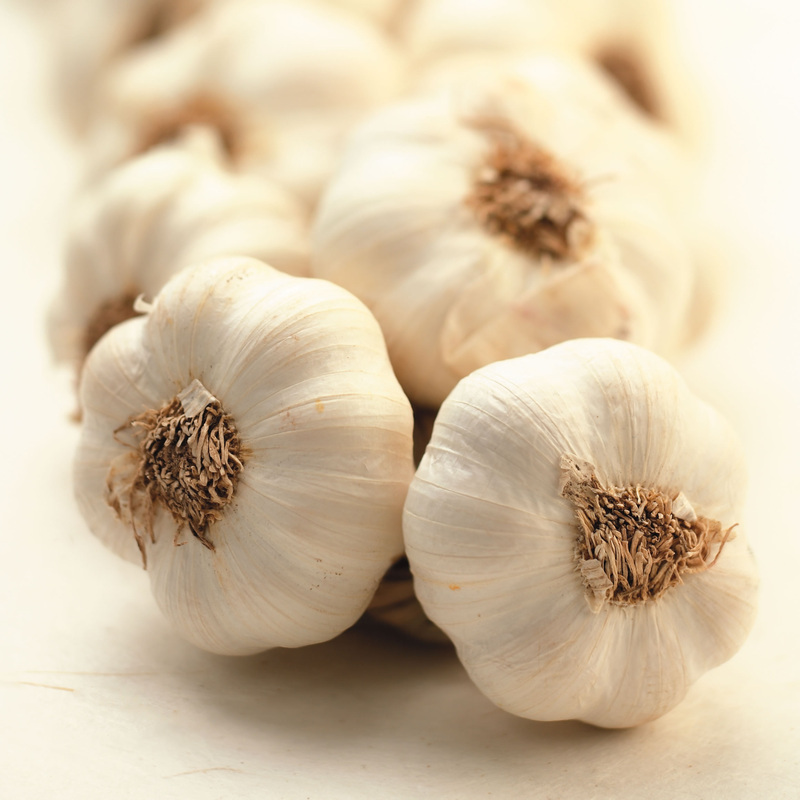 Studies have shown that garlic possesses cancer fighting, anti-infection, anti-bacteria, anti-fungal and anti-viral properties. Garlic contains the sulfur compound Allicin. Allicin has been called natures antibiotic because it helps the body to slow down the ability of germs to grow and reproduce. Studies have shown that garlic boosts the production of hydrogen sulfide which is effective in preventing prostate, breast and colon cancers. Research also shows that garlic has positive effects on the respiratory system, helps with arthritis and reduces inflammation. But besides that, garlic tastes really good. 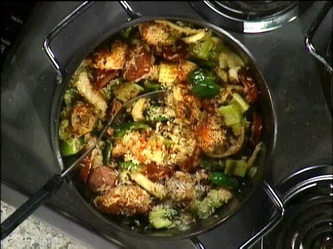 Some of my favorite foods are cooked with garlic. Garlic chicken, spinach sauteed with garlic, gumbo, and jambalaya, I could eat everyday. My family enjoys my famous chicken soup. We eat it once a week in my house. It definitely helps us to keep the colds and flu away. Made with chicken, tomatoes, green onions, garlic, red, green and yellow peppers, chili powder, cumin, green beans, corn, potatoes, chicken broth, tomato sauce salt to taste, and a cup of apple juice. Yum. 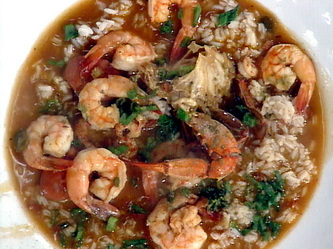 Below are recipes for Cajun Jambalaya, Spicy Garlic Chicken and Seafood Gumbo. All taste so good and are good for you. Enjoy. 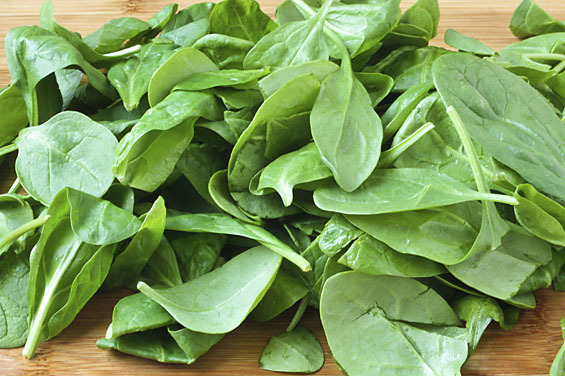 One cup of spinach has 20% of the recommended daily fiber. It is another superfood that has many health benefits. It aids n the digestive process and helps to prevent constipation. It aids in lowering blood sugar. 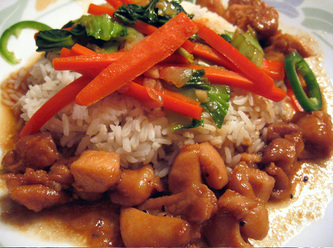 It contains flavonoids, a phytonutrient that contains anti cancer properties. It has Vitamins A and C , zinc, selenium, manganese and beta-carotene, antioxidants that help combat osteporosis, atherosclerosis and high blood pressure. It has lutein and Zeaxanthin which helps to protect the eyes from developing cataracts. It helps the skin to retain moisture which aids in psoriasis, acne and wrinkles. It has Vitamin K which is good for bone health and helps to strengthen the immune system. 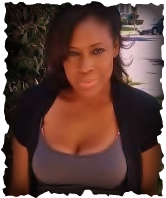 I like raw spinach in my salad. I also like spinach sautéed in olive oil with garlic and green onions ant tomatoes. 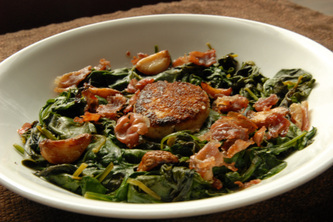 Below are a few cooked spinach recipes. 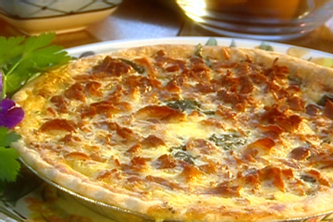 Paula Dean of the Food Network has a killer Cheese and Bacon Spinach Quiche. I substitute pork bacon with turkey bacon. Also is Warm Spinach Salad sautéed in red wine vinegar, honey roasted garlic, olive oil and lemon juice. 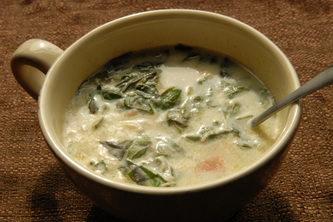 Another good recipe is Chicken Toscana Soup made with parmesan cheese, chicken and cream. I for the most part eat spinach every day. My body misses it when I go without it.